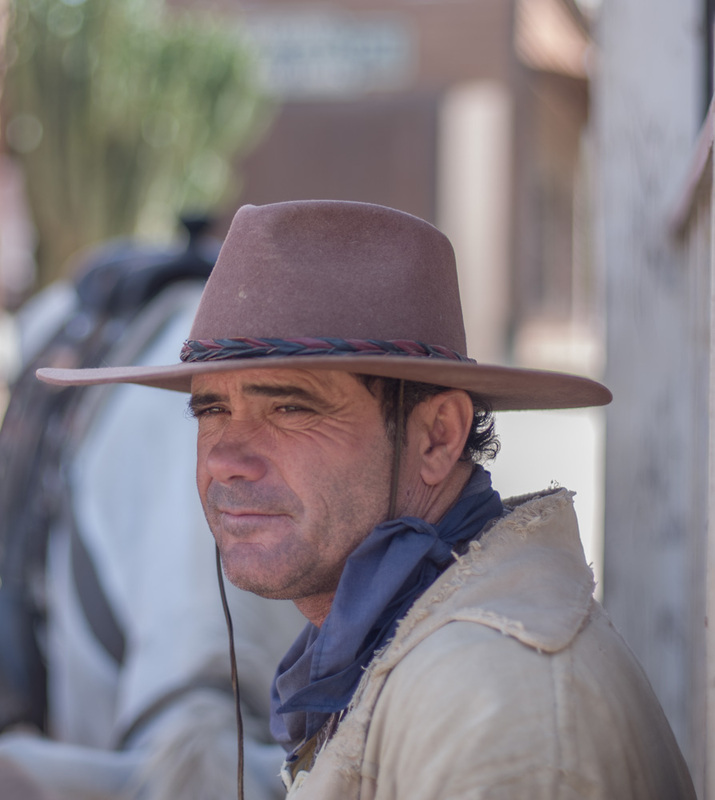 You may know that what are often called "Spaghetti Westerns" were actually filmed in Spain. What you might not know is that a lot of the original film sets are still there, and easy to visit. 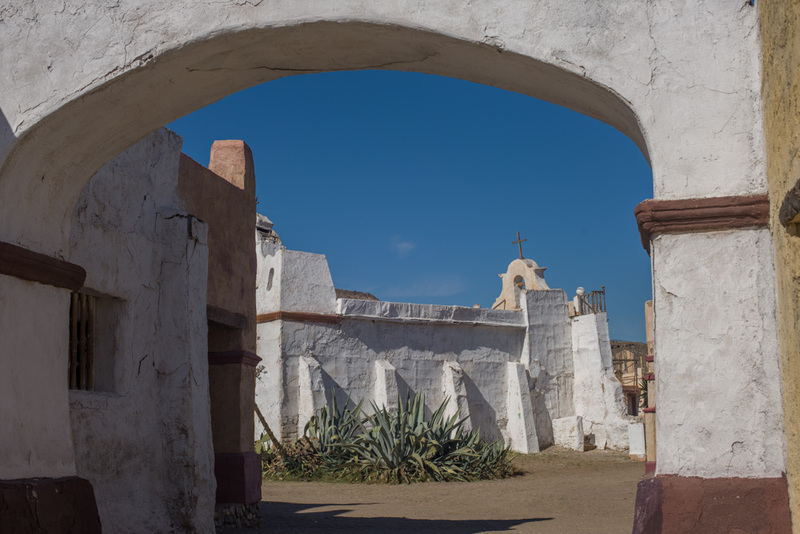 Some of the sets, created by Sergio Leone, are open to the public complete with shows, shops, and all manner of enticements, for visitors, to re-enact their cowboy fantasies. A coach rides in to Fort Bravo. "The Good, The Bad, and The Ugly" while the nearby Mini Hollywood (Oasys) - which was created as El Paso in "For a Few Dollars More" - is larger and more commercialised. 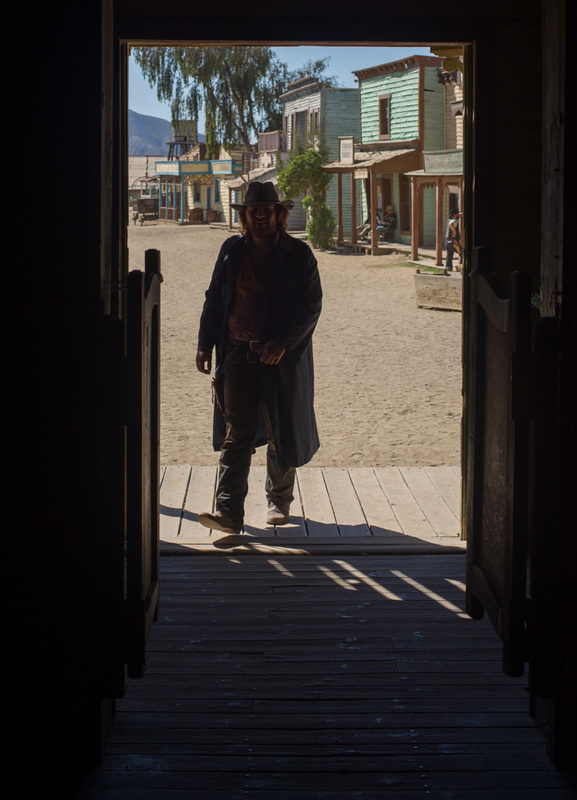 Strolling along main street, past the saloon, bank, and general store your mind tells you that you are in a fake western town created only for making movies. Your heart tells you, watch your back and check the dingy doorways, because Lee Van Cleef is somewhere here, watching, and waiting. It's hard not to walk into the saloon without kicking the swing doors wide open then standing in the doorway while the music stops, and card players spin around, hands poised over their colts 45's. That's not what actually happened when I was there. I walked in, and ordered a beer. The Mexican bandit who followed me in, asked for a glass of milk. Nonetheless, if you have a good imagination, it's easy to overlook a bit of reality and stick to the script. 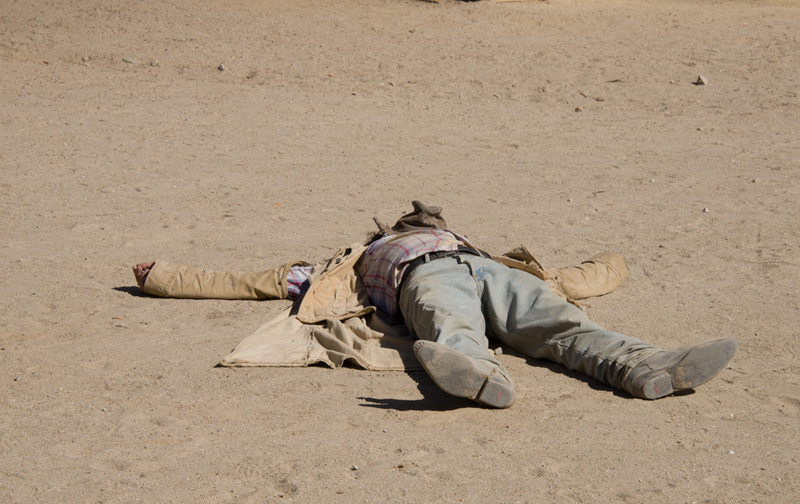 A bandit takes a siesta, with rifle at the ready. 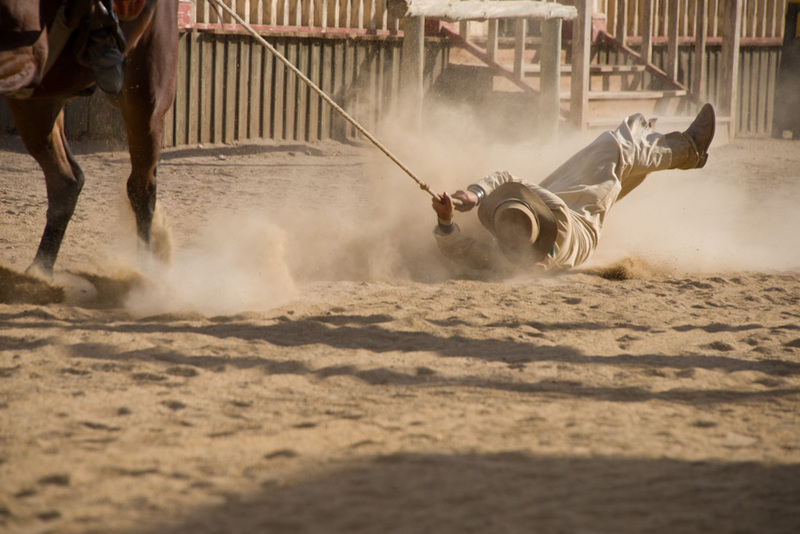 A couple of times a day, the organisers put on an 'espectaculo', at both of the sites, and these shows plays out some classic scenes, with gunfights, a hanging and a few street brawls. The most impressive was a horse galloping into the main square dragging a man on a rope. There is no doubt, most of the actors know what they are doing, and all of them claim to have been in numerous movies, some in the original Leone trilogy. The Wild West way of bringing someone to justice. The haunting music of Eric Morricone is continually pumped out of loud speakers, although it often builds to a climax of operatic drama with nothing more going on than a horse standing around outside the bank. On the set called Oayses, or Mini Hollywood, they had an excellent 'Can Can' show complete with a musical turn by a couple playing guitars. 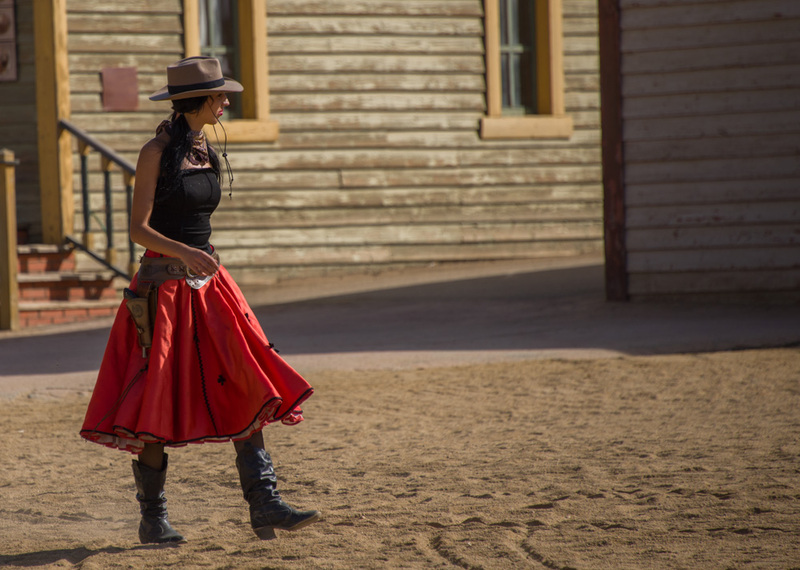 The Wild West wouldn't be wild without a bit of music. Walking around the streets it's easy to feel like you are on a movie set. Which of course, you are. The difference is, no one is shouting "cut" when you finish taking a photograph, but you can shout it in your head. It adds an extra dimension to the overall feel. Or, if you really want to get right in to it, just imagine you are in the wild west of the 1,800's! After a day in the saddle, there can only be one place to head. Many of the performers wile away the day chatting and practising looking mean, which they are pretty good at. 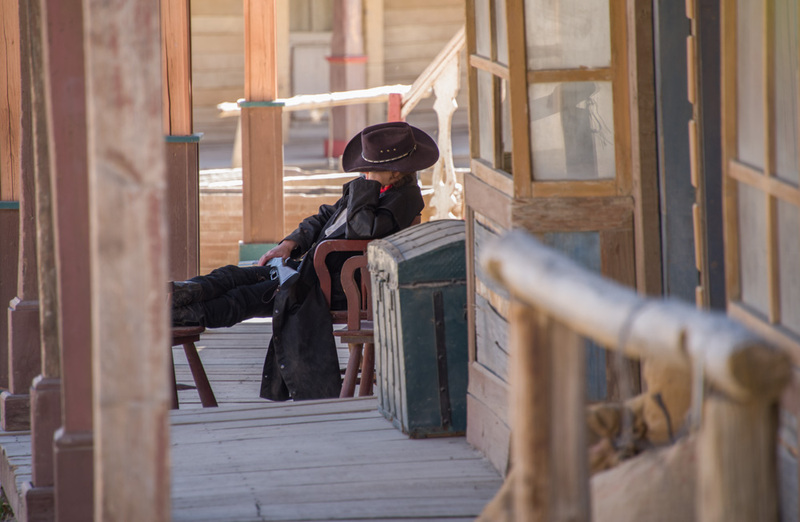 There is a similar feeling that you get in old gold rush towns, that one day, the good times are going to be rolling in again, and those that have waited, will be first in line for some action. "I ain't saying much, so don't ask." It's not just the sets/towns that you give you a familiar feeling of deja vue, the parched hills and dusty tracks in this desert region often look like a place you have visited before. Most likely you have. 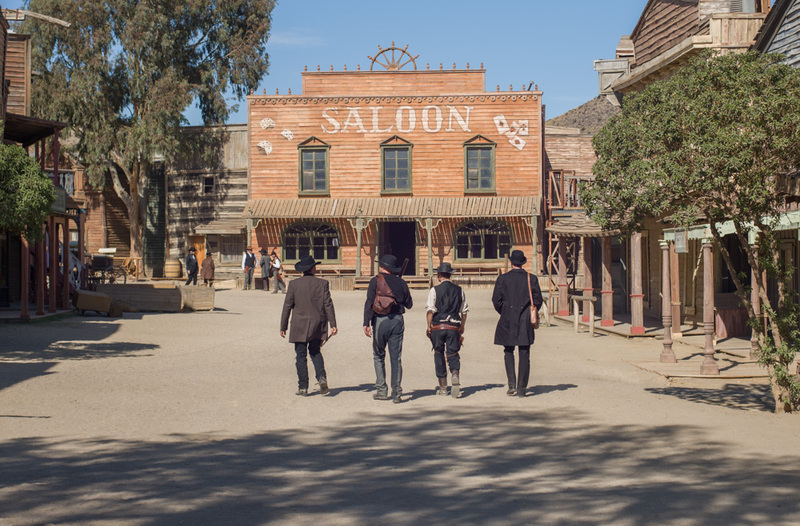 Hundreds of movies have been made in and around Tabernas, the dramatic yet nondescript backdrop of the desert makes a perfect location for story telling. Despite all the famous names - Once Upon a Time In The West, Patton, Lawrence of Arabia and many more - it's Sergio Leones creativity that was, and still is, the biggest influence on this area. It's a surreal experience to get out of the car and gaze across the landscape, feeling that you know the place. No bad language, there are ladies around. Both locations are near Tabernas, about 30kms inland from Almeria. They are easy to get to and I stayed at the excellent El Puente Hostal in Tabernas, for a few nights. It has an attached restaurant that does huge meals, just what you need after a hard day in the desert and the staff are friendly and helpful. So if you fancy indulging in a bit of wild west fantasy, and capturing some unique images while you're at, I recommend a trip here. There is a third location, called Western Leone, but my time ran out before I got a chance to visit that one. The view from inside the jailhouse. The Badlands of the Tabernas desert. Eerie and strangely familiar. And finally..If you fancy yourself as a bit of director, this is an ideal place to go and shoot your own home made movie!